The new president of the world’s fifth largest country by population is looking to combat Brazil’s high murder rate by cutting back regulations on personal gun ownership. 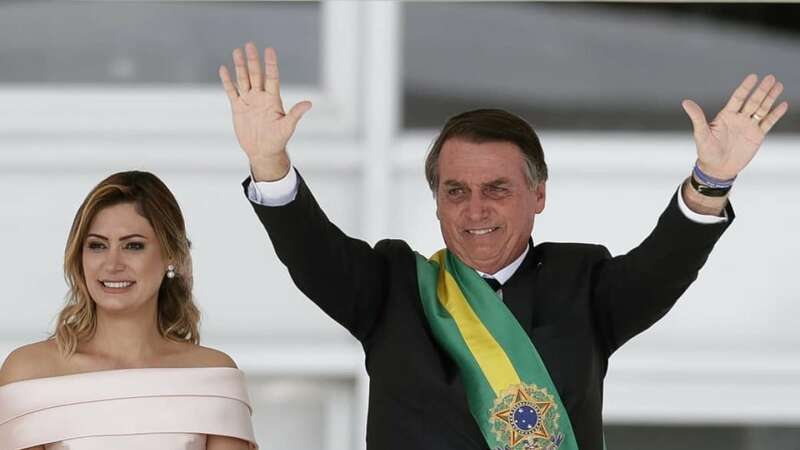 Jair Bolsonaro, 63, who assumed office as the 38th President of Brazil after winning election last year with the support of his conservative party, announced Tuesday he was relaxing the country’s strict gun regulations. Brazil has some of the most restrictive gun laws in the world, while the country of over 200 million inhabitants at the same time also has one of the highest murder rates. Although the country is home to one of the largest handgun makers in the world, Taurus, private ownership of legal pistols and revolvers is rare due to tight regulations. Indeed, as noted by the University of Sydney’s gun policy research, Brazil does not guarantee individual rights to own a firearm, and requires “may issue” style licensing and registration of rifles and shotguns in a program (SINARM) maintained by the federal police. Such licenses are restricted to one gun per person and have to be renewed every three years. Gun owners have to be at least 25 years old and both guns and ammo can only be transferred among those with licenses. Many of the more odious restrictions were implemented during the administration of leftist President and union boss, Luiz Inácio “Lula” da Silva, who held power in the country from 2003 to 2010. De Silva was convicted last year of public corruption charges and is currently imprisoned. Bolsonaro explained his changes to past “Lula” era laws include the ability to keep up to four guns per license, transitioning to a more “shall issue” type of firearms licensing which would eliminate the ability of police to refuse permits to gun owners for arbitrary reasons, and pushing back the renewal period on the licenses from 3 to 10 years, with more reforms promised. As reported by Reuters, the new President’s decree would expire in 120 days if not approved by the 594-member National Congress of Brazil. While Bolsonaro’s party, the populist PSL, only controls 56 of those seats, it is the second largest group in the legislature due to the splintered nature of Brazil’s politics as nearly 30 parties have deputies in the chamber. According to the Brazilian Forum of Public Security, Brazil suffered more than 63,000 murders in 2017, a rate about six times higher than in the U.S. The rate has soared over the past decade in large part due to well-armed drug gangs, with the BBC reporting that at least one Brazilian state saw an increase of some 250 percent in homicides.